200th creature. Beetles that look like jewels. 200 days of bizarre creatures without missing a day. Today I will be blogging about jewel beetles as a celebration. Buprestidae are a large family of beetle commonly called jewel beetles. They are called jewel beetles because of their metallic or jewel like shine and their variety of vibrant colours. 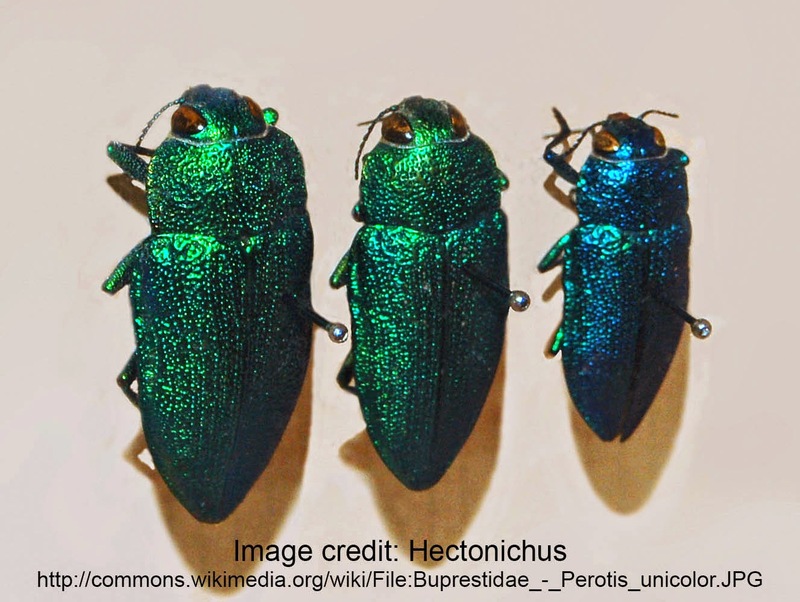 Their colours are not a result of pigmentation but of slight differences in the structure of the exoskeleton reflecting different bands of light. Despite their spectacular colouration they spend most of their time hidden. They bore into woody parts of trees and feed off the sap and will not leave as juveniles. Like most beetle families, jewel beetles are cosmopolitan. 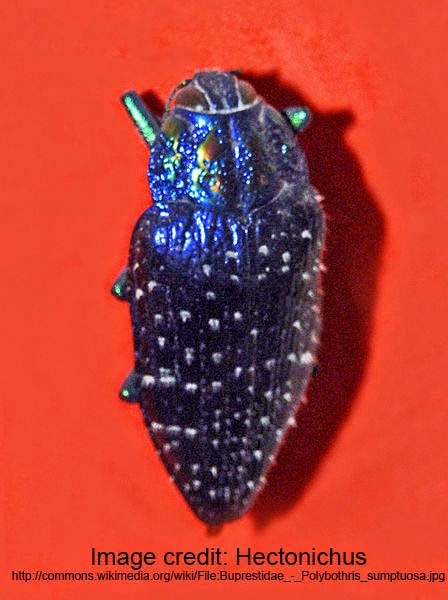 There are around 15, 000 described species of jewel beetles. That's a lot, even for a beetle family, although it is not nearly the largest. You can peobably find them in any color you can imagine.